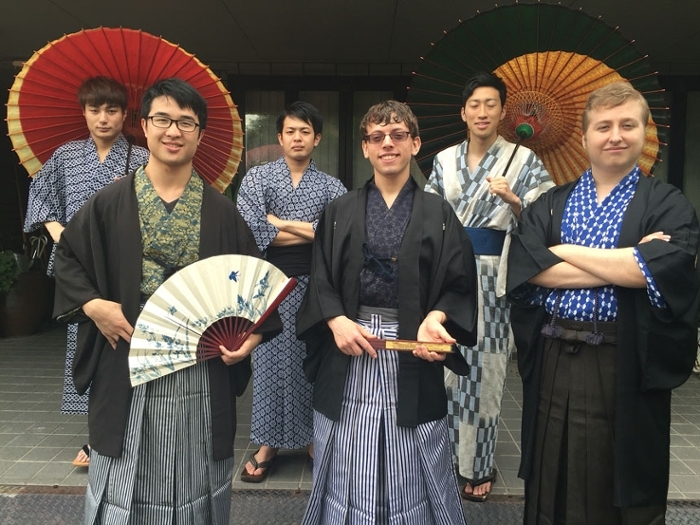 Nicholas Boldt ’18 (at center, front row) and his housemates in Osaka dress up in Japanese traditional clothing. They also tried out traditional instruments -- the koto (stringed) and taiko (drum). The CET Summer in Japan program literally immerses students in the local culture of Osaka. Participants take intensive language classes, live with a local roommate, and uphold a full-time pledge to speak only Japanese. This approach certainly paid off for Nicholas Boldt ’18, a biomedical engineering student, who participated in the program during the summer of 2016. And he had gained course credits that he could transfer here for his minor in Japanese. 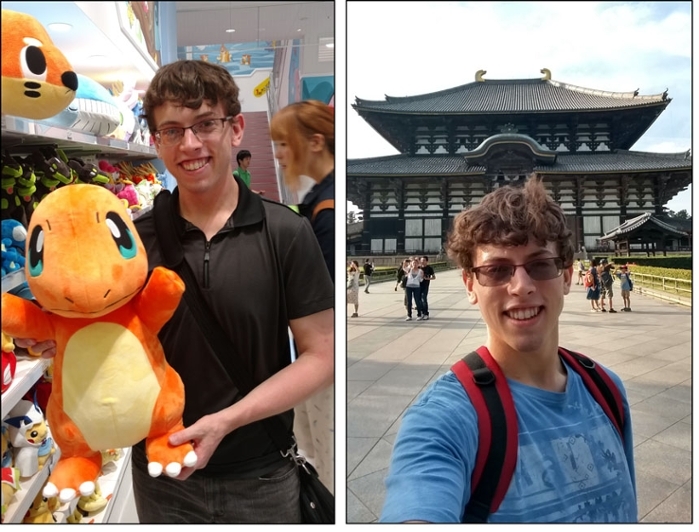 During his summer in Osaka, Boldt was able to visit national parks, summer festivals, and game centers. His favorite activity? Renting a karaoke booth with friends for hours at time. “I was probably the most tone-deaf person there. However, despite my terrible singing we all still had fun. There is a cultural aspect to karaoke in that people respect everyone’s efforts. Even when I fumbled in Japanese, I was encouraged to carry on and keep trying. At left, Boldt visits the Pokemon Center at Expo City in Suita, Japan. At right, the Todai-ji Buddhist temple in Nara, Japan.